Lance Armstrong won his first Tour de France title. The world braced itself for the perceived technological apocalypse known as Y2K. Groundbreaking shows like Friends, Frasier, ER and The X-Files were still producing and airing original episodes on prime-time television. 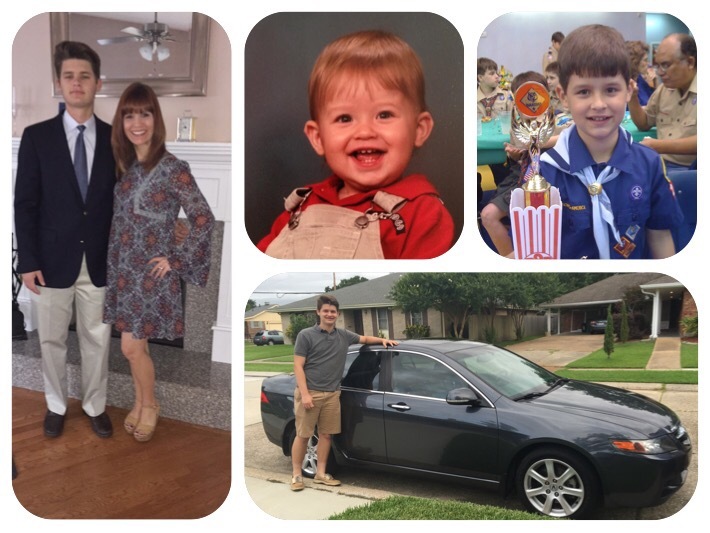 And YOU … you made me a mom … changing my life forever when you were born on October 16, 1999. I just can’t believe you’re 17 today, Dean. You were a great eater, but you were a terrible sleeper. (I guess some things never change.) You had a belly laugh that people couldn’t help themselves but join. Your favorite audience was your baby sister. You’d spend hours working to make her laugh. And inventing nonsensical nicknames for her. I honestly believe you tagged her with over a hundred of them. (Mrs. Baybo, to name only one.) Stay close to her, Dean. You mean more to her than words could ever say. Your dedication to your studies, your family and friends, your pet and your need to just be a good person are humbling for your dad and me to watch as your parents. Somewhere along the line, we know we obviously did something right. Thank you for that, Dean. Stay the course. You are poised for greatness in the world. Everyone around you seems to know that except you. As much as it truly pains me to watch you grow older and slowly distance yourself from your childhood, I relish the opportunity to watch you develop into the amazing adult I am certain you’ll be. I know I drive you crazy sometimes. The feeling is mutual, my boy. That’s all part of growing up. For both of us. The important thing is that you know your dad and I are always and forever here for you. If you ever need anything at all … day or night … near or far … sane or insane, all you have to do is pick up the phone. Or whatever the communication method of the future will be. We’ll learn how to use it. For you and your sister.